In early September we started our exhibition marathon across Europe. and then we immediately leave to Bulgaria and Greece. 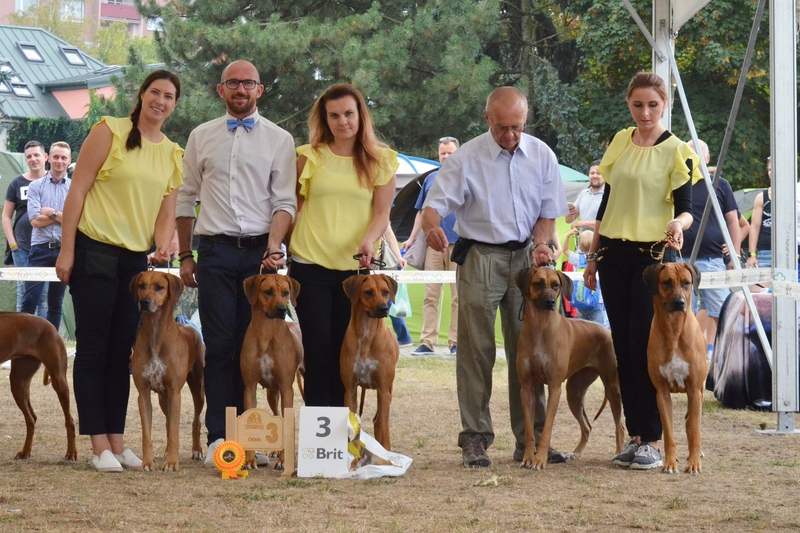 Last weekend in September we took part in CACIB Tulln in Austria. and we’ve always been with friends by our side. Ch. 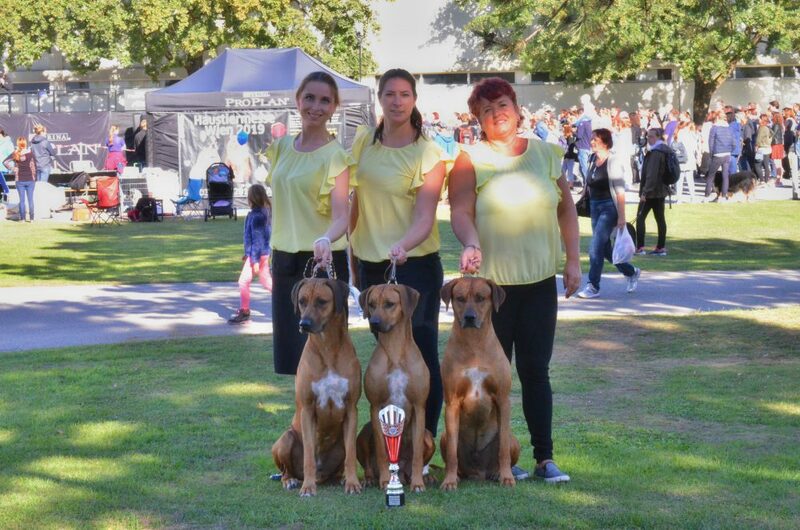 Emma True Angel Slunce Zambezi “AMBI” – winner cl. – Exc. 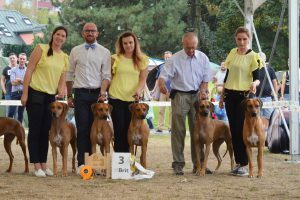 Jch.Hera the Goddess of Slunce Zambezi – winner cl. – Exc. MultiCh. Emma True Angel Slunce Zambezi “AMBI” – winner cl. – Exc. Ch. Highway to Hell Slunce Zambezi “TEO” – winner cl. – Exc. C.I.B., Ch. Gateway to Success Slunce Zambezi – champion cl. – Exc. 3, Exc. 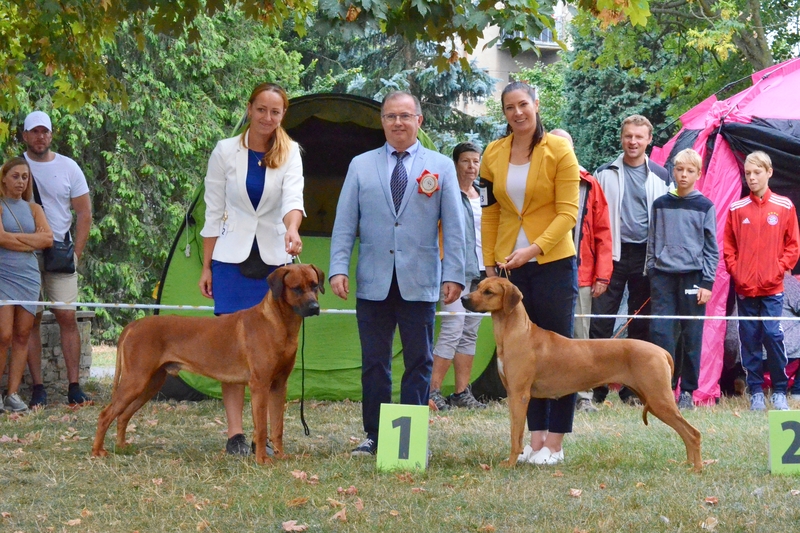 1 CAC, CACIB, BEST FEMALE, BUNDESIEGER, BOB !!! 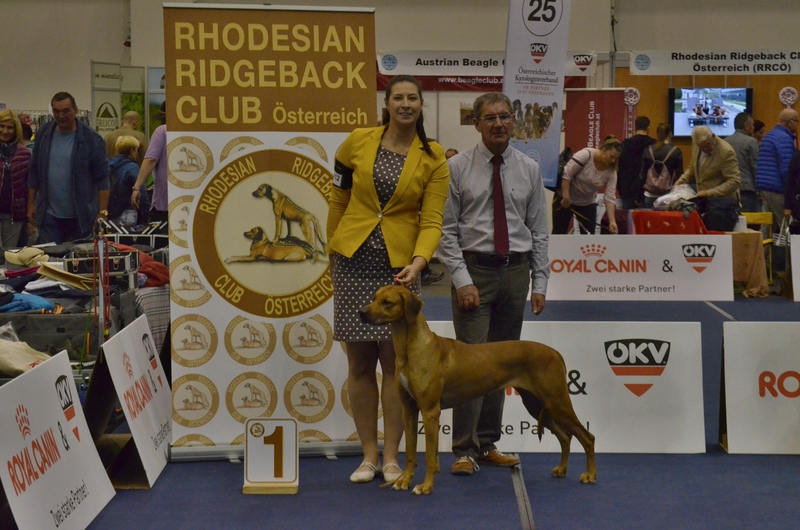 Suki fullfiled condition for Champion of Austria !!! Ch. Highway to Hell Slunce Zambezi – open – 2x Exc.